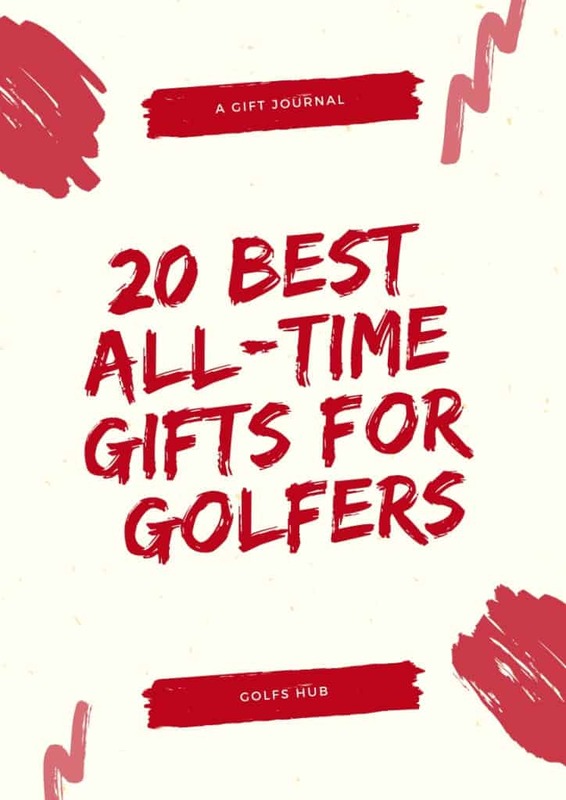 We Review All Kinds of Golf Products. You are here: Home / Rangefinder Reviews / Gogogo Golf Laser Rangefinder with Slope for Multi-Purpose: Experience Golf Measuring Like Never Before! Gogogo Golf Laser Rangefinder with Slope for Multi-Purpose: Experience Golf Measuring Like Never Before! You’ve already surfed a lot and your browser is flustered from rangefinder googling. No more searching and take a deep breath now. Because you will get to know an in-depth review of a new laser rangefinder for golf. We appreciate you as you’re dedicated to golf and need a rangefinder, which will be cost-effective, accurate, intuitive and user proof. Apart from this, you should buy a rangefinder for multi-purpose use. 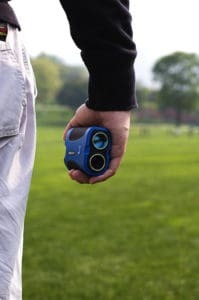 The Gogogo golf laser rangefinder is absolutely for multi-purpose use, which integrates latest functions (range reading, ARC, pin seeking) along with flagpole-locking vibration and also you can measure the speed. By the way, the measuring range is from 5 to 650 yards. If you think about the Laser rangefinder accuracy, I must say it has +/- 1m high accuracy along with 6x zooming. Gogogo golf laser rangefinder with slope switch technology is easy to move up and down and the built-in one device makes it convenient. The Golf Rangefinder with Slope mode helps to see the plays like yardage. Gogogo Golf Has a Rangefinder to Fit Your Needs. How can you hit your target without knowing about the exact distance between you and the flag? That’s why you need to choose the best one. Keep in mind, guessing without rangefinder might lead to a wrong decision and one wrong decision will ruin the whole game. Again, using a poor rangefinder proves wrong in the case of accuracy. Hence, guessing is better than keeping a poor device. When you will fail to win, you can’t pinpoint where your rangefinder went wrong, that’s obvious. So try to use Best Golf laser rangefinder, if you can afford. If you can’t afford an expensive one, you need to analyze the cost-effective golf distance finders. Now read between all the lines of Gogogo-Golf Laser rangefinder review. They have employed CR2 Battery, which will support you for the long run. When the device will be running out of power, the low battery indicator will tell you about that. With the scan mode enabled and the FlagPole lock enabled, it is exclusively water resistant as well. Keeping your rangefinder on your hand in a steady mode is mandatory, we know that. So, you don’t need to worry about unsteady or shaky hands. You can immediately lock your target once you discern the target from the surroundings. Soon after, the pulse vibration technology will alert you by the vibrating pulse. This is a green signal for you and ensures you that you can go for a shot now. A golfer should be comfortable with rangefinders, and it is a must. Keeping this in mind, the manufacturer brought it on the market. Simply point and press and afterward you can get an alert vibration pulse. The whole journey is comfortable and precise, so don’t worry about that. In addition, the company has included a user manual for you with the package. If you want to know more, you can go through it and use it more easily. Identify the target in a jiffy and lock the flag in a quick mode as both are fast-paced. Additionally, the 6x magnification view will give you a clear view to see the distance yard reading. Whereas you can find it difficult to understand with other golf distance finder in foggy weather, but not with Gogogo golf at all. Earlier, your body posture used to matter to get an accurate result. Today’s devices equipped better technology so you don’t have to assume any specific body posture at all. Same goes with Gogogo -Golf Laser Rangefinder. You just have to hold the rangefinder within your thumb and other four fingers and just press the button. Like other golf rangefinders, you may find two buttons in Gogogo-Golf Rangefinder. One is the power button and another is mode button available here. An eyepiece, laser receiving lens, laser emission lens are available at the top. Size and weight do matter for rangefinders while playing golf. With a view to making you feel comfortable at your game, this Golf Laser Rangefinder maker designed and produced it. The shipment weight is 9.6 ounce and when you hold it on your hand it will be 186gm, this is a pretty good weight. The range is a pretty basic requirement and a must for any rangefinders. Whenever you buy your rangefinder, always make sure whether it can support you with maximum range or average range. Also, it depends on your gameplay indeed. Keep it in mind the Go-Golf Laser Rangefinder can cover up to 600 yards, that’s a pretty good range in comparison with others. Quality comes first and the manufacturer of Go-Golf Laser Rangefinder makes sure of it in the first place. How do you believe this? Just think about one-year money back guarantee offer from them, which clearly indicate the better quality. After you use it, you also get to know about it in life. Earlier, golf game was a guessing game but not anymore today. When you are on the golf course, the whole time is precious for you. Hence, you need to utilize that time. Consequently, you can improve your golf skills too. Although new in the field, the Gogogo laser rangefinder is an efficient solution in this regard to partner you through your pro-golfing adventure..
Ogio Silencer Cart Bag Review: No More Club Rattling! Golfs Hub is a participant in the Amazon Services LLC Associates Program, an affiliate advertising program designed to provide a means for sites to earn advertising fees by advertising and linking to Amazon.com. *Amazon and the Amazon logo are trademarks of Amazon.com, Inc., or its affiliates.